WASHINGTON, DISTRICT OF COLUMBIA, July 25, 2018 — America has spoken and following nearly a million votes cast by animal lovers across the country and a celebrity panel of dog lovers and experts, seven remarkable canines have been named finalists in the 2018 American Humane Hero Dog Awards®, sponsored by the Lois Pope LIFE Foundation and Zoetis Petcare (a U.S. business unit of Zoetis), and broadcast nationally on Hallmark Channel. 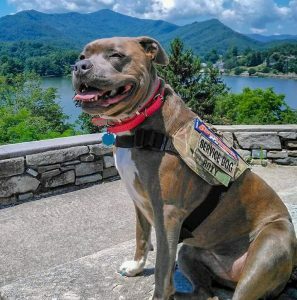 Over the past eight years, more than 8 million votes have been cast for more than a thousand dogs seeking the coveted title of American Hero Dog. The program reaches more than 1 billion people each year and draws the support and participation of top celebrity dog lovers from all over the world. Willow (Las Vegas, NV) – Willow is a survivor of the South Korean dog meat trade. His owners turned him in to the slaughterhouse because he was old. 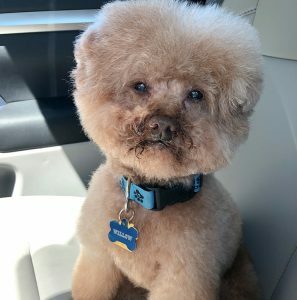 Neglected, with cut ears, matted hair, amouth of bad teeth and an infected tongue, he was allowed to be rescued because he “didn’t offer much meat.” He was one of the lucky ones. 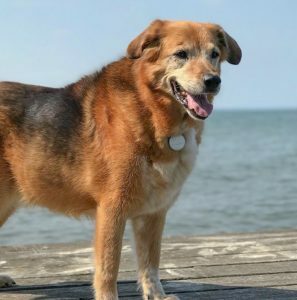 Arriving in September of 2016, Willow is spreading awareness on social media and making public appearances to educate people on animal welfare topics (including the dog and cat meat trade) through non-traumatic and non-graphic ways, and presenting resources to help more of his four-legged friends. Willow travels internationally in foamboard form and poses with trade survivors. His campaign, “I Am Willow, I Am Not Food” raises flight funds for dogs. 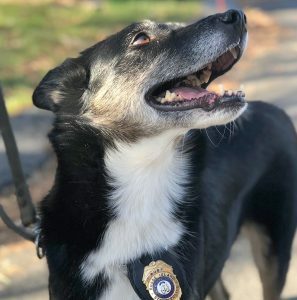 He is the mascot for a newly created Animal Rights Club at a local school, helping students advocate for change in the classroom and aiding their school in becoming the first vegan option cafeteria in the State. We are developing educational tools to use in an animal welfare speaking series for schools and conferences. 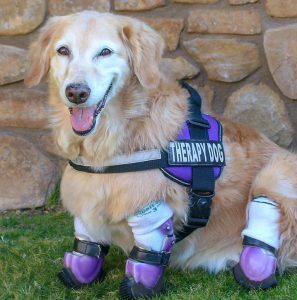 He is also getting therapy dog certification to spread awareness to disabled children through animal-related books/reading programs. Willow is a voice and inspirational leader for millions of animals, not just those subjected to the dog and cat meat trade. People listen, learn and respond to Willow. He is a vehicle for raising awareness. Willow is an EMERGING HERO who will grow that status into something that makes a lifelong paw print in the animal welfare world. Sergeant Fieldy (McAllen, TX) – Sgt. 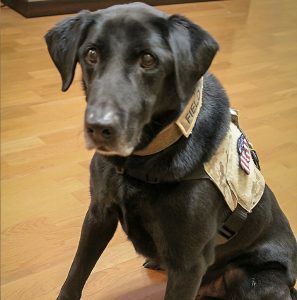 Fieldy is an 11-year-old Black Lab with the heart and energy of a 3-year-old who served in the U.S. Marine Corps and retired in August 2014. I am hishandler and I met him in South Carolina as part of a group of specialized units formed to combat the number-one threat in Afghanistan: Improvised Explosive Devices (IEDs). We were deployed to Afghanistan in February 2011. We both experienced first-hand the effects of IEDs when a vehicle struck a pressure plate during a patrol and injured the occupants. Knowing that we were both targets for insurgent observers, we worked tirelessly to detect explosives. He alerted me and found yet another IED, a 60-pound plastic barrel containing homemade explosives. During our deployment, Sgt. Fieldy found several more IEDs and their components, which helped save countless lives during our tour. After his deployment, he was taken back for refitting and training, and I returned home. I later found out that Fieldy deployed two more times to Afghanistan and continued to find more IEDs and save many more lives. After serving four tours, on Aug. 7, 2014, I was finally able to adopt him. Since then he has very much enjoyed his retirement. In Nov. 2014 he participated in the Veterans Day Parade in New York City. And in July 2016, he was honored with the K-9 Medal of Courage award on Capitol Hill, and has been recognized for his bravery and courageous sacrifice on several other occasions. He has made a life-changing impact on my life. He is my hero! Chi Chi (Phoenix, AZ) – Chi Chi is a quadruple amputee who is inspiring people all over the world. She was left for dead in South Korea where she was found in a garbage bag with her legs bound, worn to the bone, and already necrotized. The only way to save her life was to amputate portions of all four of her legs. When she first arrived at our home, she was afraid of people, but with time and lots of love and grace, she realized that she is safe and no one will ever hurt her again. She forgave and decided to trust people again. 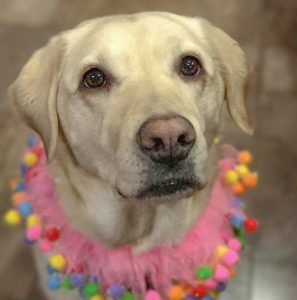 She quickly adapted to her first set of custom prosthetics and now loves spending her days as a certified therapy dog sharing her joy and cheerful demeanor with people of all ages. Recently, she had surgery to remove cancer tumors, so she is a cancer survivor. When people meet Chi Chi, they are inspired by her courage, perseverance, ability to overcome adversity and her never-give-up attitude. She exemplifies resilience and forgiveness, and openly shares her love and compassion in abundance. Her sweet-tempered and gentle spirit opens people’s hearts and her perceptive spirit senses where her love is needed. When people hear Chi Chi’s story and experience her attitude of joy, they are often inspired to face their challenges with renewed courage and a fresh perspective. Chi Chi brings joy everywhere she goes and her optimism and smile spreads quickly to others. She positively impacts thousands of people all over the world via her online therapy work through her social media account. For more information about the 2018 American Humane Hero Dog Awards®, and to vote daily in the contest, please visit www.herodogawards.org. For more information on sponsorship opportunities email Mari Harner at [email protected] or call 1-800-227-4645. Chicken Soup for the Soul understands the unique relationship between people and pets. Health conscious consumers have been feeding their cats and dogs Chicken Soup for the Soul wholesome and balanced, super premium pet food for over 15 years. Holistic in nature, the entire line of products is made from only the finest ingredients: real meats (chicken, turkey, duck and salmon), fruits, vegetables and herbs. With no added corn, wheat, soy, artificial coloring, flavoring or preservatives, Chicken Soup for the Soul pet food is inspired by your love for pets, and promotes overall health and well-being for dogs and cats. The products are proudly made in the USA, and feature rescued shelter pets on every bag. Core and grain-free formulas and a line of treats are available in independent pet specialty stores nationwide and online. A portion of all proceeds from the sale of Chicken Soup for the Soul pet food goes to help shelters and pets in need through Chicken Soup for the Soul’s Fill-a-Bowl … Feed-a-Soul™ program. The program which was launched in association with the American Humane aims to provide a million meals to shelter pets annually. www.chickensouppets.com.